When you buy a new pair of leather work boots, you would like to know how to break in leather boots fast. But nothing causes more discomfort on your feet than the leather boots which tends to be too tight or which have not been broken in. Your feet tend to expand when bearing your weight, and the swelling during the day tends to enlarge your feet and the leather will constrict. No matter the style, leather boots want the most breaking in, but even the non-leather and synthetic materials tend to start off a bit stiff. 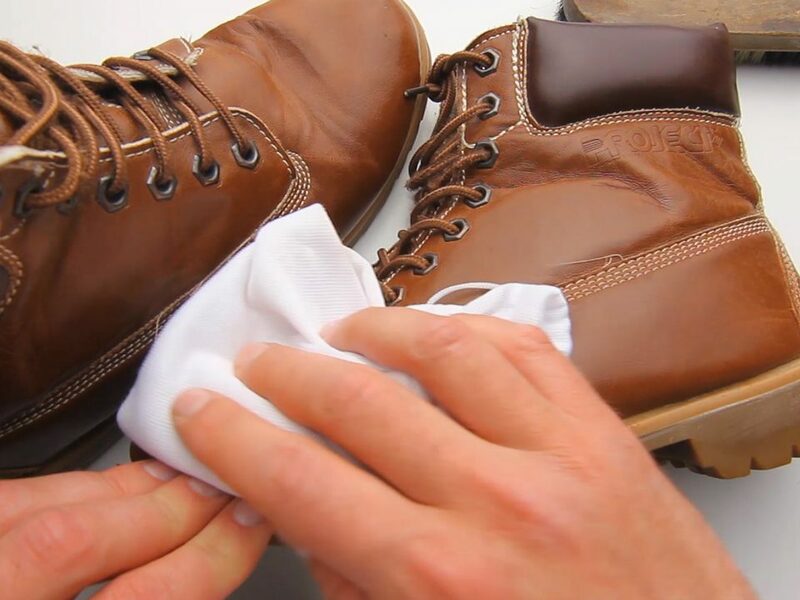 Typically, breaking in leather boots tends to take times, but there are numerous easy ways you can do to speed up the process. Wear them around the house – Simply wearing your leather boots around the house for a couple of hours every day is one of the cheapest and easiest ways to breaking in your boots – you can wear them when performing small activities like cultivating the grass, watering your flowers, etc. The fact is every second you spend in your new boots helps speed up the break-in process. Moreover, we don’t recommend you wear them loosely – it’s ideal to tie the boots snugly. As soon as the new kicks feel comfortable indoors, then you can begin wearing them on small outdoor trips like walking the dog around the park. Thick socks – Before wearing your boots, we recommend you wear thick socks. Even better, you can wear double socks – this helps avoid the stiff leather from coming in contact with your feet. 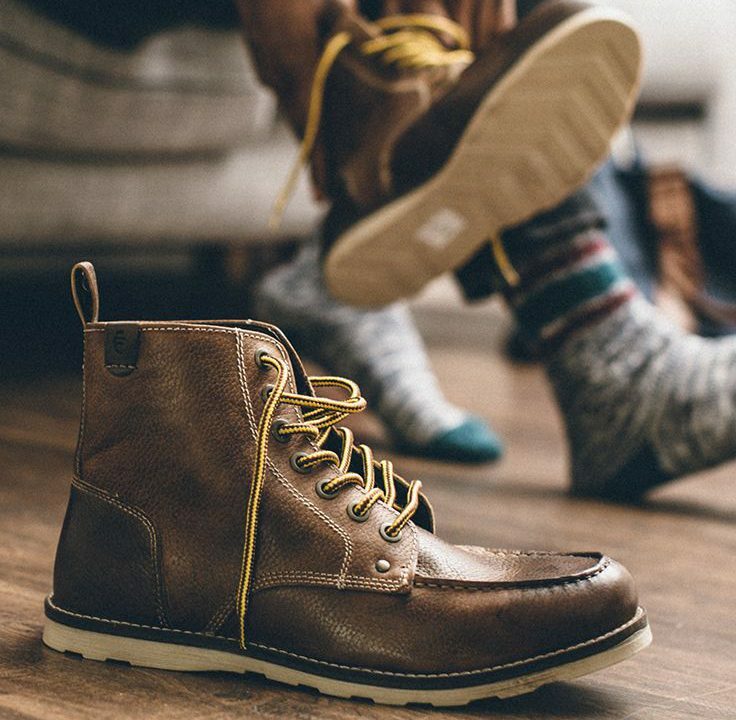 For the full-grain leather boots, we suggest you lightly dampen the pair of thick socks and wear them as you break in your new kicks to speed up the break-in process. Invest in a good quality leather conditioner – Coat your new leather boots with an excellent boot conditioner – following the manufacturer’s package instructions. Place them in the plastic bag and set the boots in a warm area overnight, enabling the conditioner to absorb into the boot’s surface. Bend them at the heel and toe areas- to help speed up the break-in process. The conditioner helps prevent your boots from cracking when they are expanding. When applying the conditioner, we suggest you take off the boot laces for an even and convenient application of the conditioner. Also, don’t apply too much leather conditioner to avoid leaving your boots looking sticky. Stuffing the boots – Roll up towel/cloth on each boot and tightly stuff them anytime you aren’t wearing them. This helps keep the break-in process going even when you aren’t active, and also helps the boots maintain their shape. Boot stretchers – Boot stretchers tend to be adjustable to whichever size of the boot you might have. Where do I get them? Well, you can purchase boot stretchers relatively easily online. They help to loosen the fibers – you merely place the boot stretcher into your boot and extend it ensuring it has a tight fit. Taking them to a professional – Of course, breaking-in your new boots might not be easy especially if you are pressed for time, that’s why we suggest taking them an expert. A professional leather cobbler can help you to loosen and soften up your boots by applying the appropriate procedure, hence ensuring the boots accommodate your feet snugly. You will need to shell out a little extra cash to get this done, but it is worth it since it helps to prevent those painful blisters as well as any damages to your new boots. No matter how excited you might be going to work with your new pair of leather work boots, it’s worthwhile noting that it requires a bit of time and effort to break-in your boots. We recommend that you carry out the breaking-in process in a gradual manner before you start to wear them. This is to help keep your feet safe from painful blisters which take ages to heal, and it even helps your feet breathe. So now you know how to break in leather boots fast. 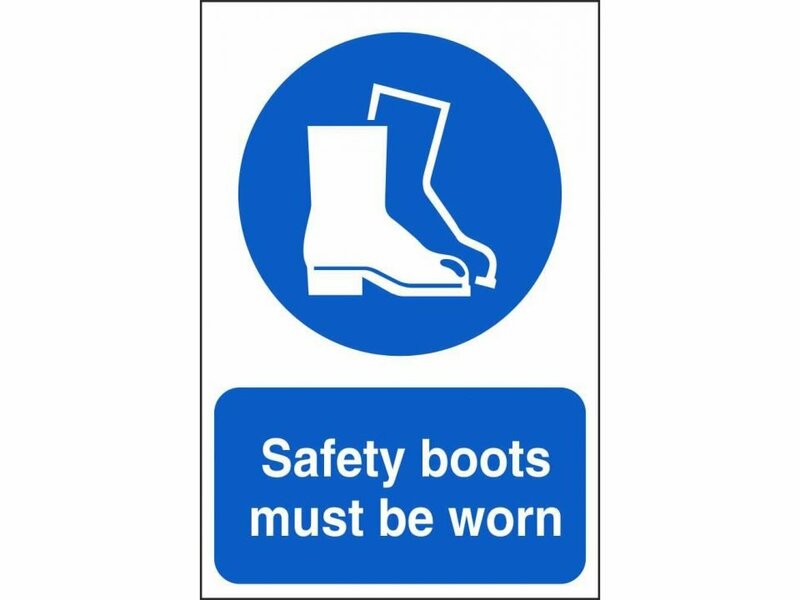 However, we suggest you consider purchasing the boots one or two weeks before you needed to start wearing them to give adequate break-in time.